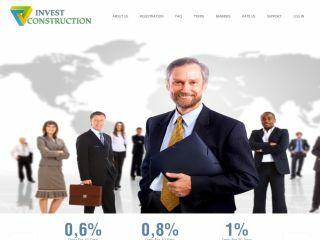 investconstruction.com is an independent financial services firm specializing in helping private and public sector entities finance energy efficiency, renewable energy, water and waste-water, and other sustainable projects. Creates highly innovative and successful investment products on a global basis to meet the needs of investors. Sorry. We don't offer RCB for Invest Construction Hyip Program Right Now.